Photonics Buyers' Guide / Electroformed Optics / NiPro Optics Inc.
A respected manufacturer of innovative diamond-turned optics, precision electroforming, and highly-reliable thin-film optical coatings, NiPro Optics provides a full spectrum of precision manufacturing options for many industries. Our domestic facility in Irvine, California, with our state-of-the-art metrology equipment, highly skilled technicians, and quality assurance processes ensure that we offer the highest quality diamond-turned and electroformed optics available today. Our motto is “Do it right the first time,” with the goal of saving our customers both time and money. Our on-site Optical Diamond Turning Center delivers complex geometries to nanometer tolerances in a wide range of materials and substrates, including “digital reflectors” fabricated from the diamond-tipped tooling. 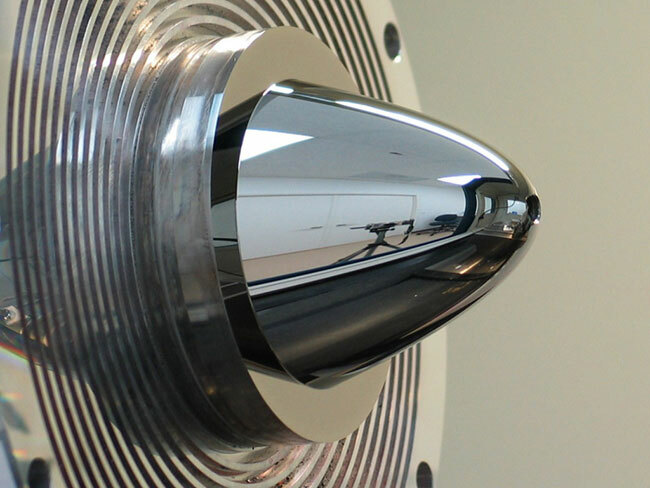 Diamond-turned optics may include precision mirrors, metal reflectors, off-axis parabolas, precision lens arrays, optical mold inserts, mandrels, and polygon mirrors with a variety of design parameters. As specialists in single point diamond turning, also known as SPDT, our expert team utilizes the newest 2-, 3-, -4, and 5-axis technology to deliver precision optical components to meet or exceed your most critical specifications. Surfaces can be free form, aspheric, biconic, toric, Fresnel, off-axis, and rotationally or non-rotationally symmetric. NiPro also offers electrolytic, high-phosphorous plating services for diamond turning. We understand the need for high nickel purity and phosphorous alloy control, which is why we use Optical Grade Nickel with a 48 to 52 Rockwell C hardness; it can be applied in greater thickness than electroless nickel, and provides a diamond tool wear advantage. We pride ourselves in our manufacturing skill, high-quality plated optical products and custom tooling for each job. Our innovative “digital” tooling has revolutionized optical electroforming quality. With our vast experience in electroformed optics, we have employed the SPDT process for mandrel manufacturing to produce the most accurate replication tools in the industry, such as our pioneering Digital Reflectors. These electroformed reflectors have become the standard of excellence in precision focal points for optimal performance. NiPro Optics manufactures precision electroformed nickel reflectors from 0.15” to 20” diameters in complex geometries - parabolic, elliptical, polygonal, or spherical, based on customer requirements. 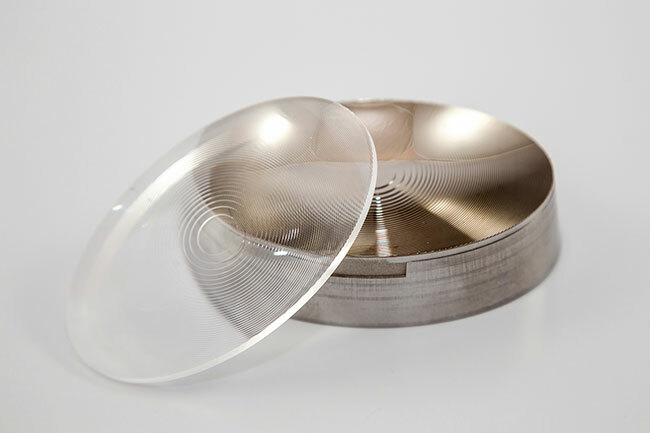 We can also electroform a variety of unique components, including ophthalmic lens molds, diffractives and Fresnels, micro-lens arrays, and free-form surfaces. 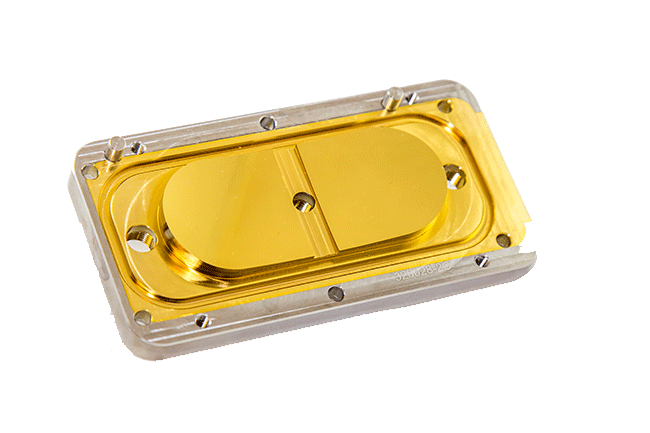 With our in-house vacuum deposition chambers, we can precisely control the thin-film coating process using proprietary tooling to produce high-performance, ultra-durable, zero-shift optical thin films. Optical coating capabilities include metallic, dielectric, durable-enhanced aluminum and durable-enhanced rhodium thin films. 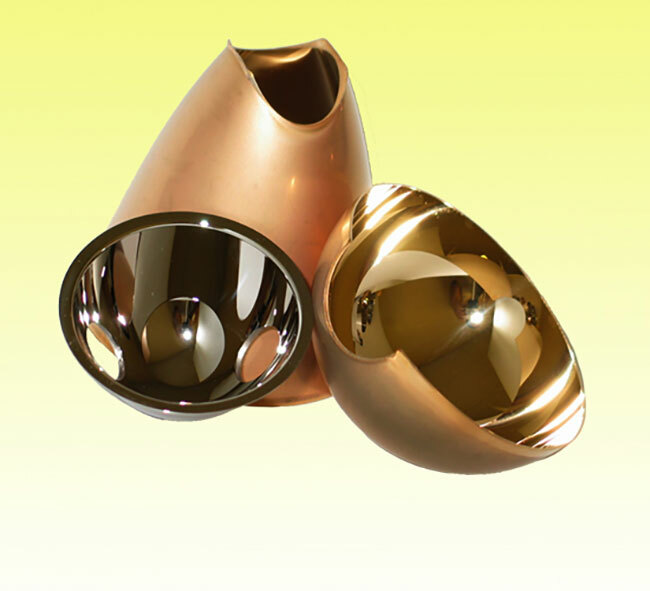 Other coating materials used are protected gold and protected silver. Ask about our dielectric enhancement that increases the reflectivity of our custom coatings in the visible range, while reducing reflectivity in the UV and near-IR spectrum on glass and metal substrates. NiPro Optics has another unique in-house capability of metal record stamping to deliver metal masters/plated mothers and metal stampers for pressing vinyl records. Be sure to ask for a quote your next record pressing project. INDUSTRIES SERVED BY NIPRO OPTICS INC. When you click "Send Request", we will send the contact details you supply to NiPro Optics Inc. so they may respond to your inquiry directly.